Dr. Laxman Besra is a Dermatologist with an experience of 2 years. 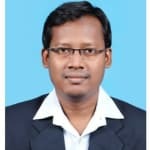 He completed his MD - Dermatology, Venereology & Leprosy from Jawaharlal Institute of Postgraduate Medical Education and Research (JIPMER), Pondicherry in the year 2014. He is a professional member of the Indian Association of Dermatologists Venereologists and Leprologists (IADVL) and the International Society of Dermatology. He has previously worked as an Assistant professor at AVMC Pondicherry. Besides being a Dermatologist, Dr. Laxman Besra is also a Cosmetologist. He is dedicated to his profession and belies in providing the best health care to his patients.The treatment services provided by Dr. Laxman Besra Anti-ageing treatment, chemical peel treatment, derma roller treatment, hair mesotherapy treatment, restylane vital treatment, vampire face lift treatment, acne treatment, bleaching treatment, botox treatment, laser treatment, wart removal, tattoo removal, glycolic peel treatment, dimple creation, lactic peel treatment, photo facial treatment, electrocautery therapy, collagen induction therapy, fine line and stretch mark removal, skin laser treatment, skin refinement treatment, sclerotherapy, actinomycosis treatment, atopic dermatitis treatment, skin rejuvenation, age spot treatment and facial hair transplant. In a brief but excellent practice 2 years Dr. Laxman Besra has had excellent reviews by many of his patients. You can visit Dr. Laxman Besra at Orissa Cosmetic Surgery Clinic in National Highway, Bhubaneswar. The symptoms were severe and unmanageable, as I was suffering from hair fall, but Dr Laxman Besra was able to handle it. Even after my treatment with my old doctor, I never felt so much relief, but DrLaxman Besra has treated my completely. Thanks to the expert care and guidance, I feel much better than before. The overall atmosphere in the REVIVAL SKIN CLINIC is very soothing. Dr Laxman Besra is really like god send person. Dr Laxman Besra certainly knows the in and out of his speciality. The complete process of hair fall treatment was so painless and quick, and i am so relieved that I chose to consult him. In the past I consulted so many doctors, but nobody was able to help me with my hair loss, but he has helped me immensely. It was getting very difficult for me to cope us with my hair loss. Hygiene is very important, and I must REVIVAL SKIN CLINIC was extremely clean. Dr Laxman Besra is so pleasant to talk to and always ready to answer your doubts. The guidance of Dr Laxman Besra has helped me immensely with my situation. I'am almost on the path to recovery, Thanks to Dr Laxman Besra perfect advice. The REVIVAL SKIN CLINIC is decorated very nicely and doesn't look like a hospital. All of sudden I developed this hair fall and didn't know what to do. Dr Laxman Besra ensures that he listens to his patients. So many doctors I consulted, but his treatment was the best. I saw Laxman Besra clinic's advertisement in newspaper and that is how we referred him. The entire REVIVAL SKIN CLINIC was spotlessly, clean. I had lost hope, but the hair growth treatment given by Laxman Besra has helped me regain my confidence. Whatever tests the Laxman Besra prescribed, were very correct and the gave they gave us an exact idea about my condition. Due to my fungal infection i was feeling very depressed. I am amazed that Dr Laxman Besra is such a sweet doctor, even though he is so busy all the time. I was in too much pain because of fungal infection, but even after consulting a number of doctors, I was not getting any relief. One of my cousin's referred to Laxman Besra. The overall cleanliness in the REVIVAL SKIN CLINIC was amazing. With the help of his treatment for fungal infection I am feeling so great. Laxman Besra has expert knowledge in the field. I remember, I read an article of Dr Laxman Besra in the paper and made contact. By chance, I approached him for second opinion and thank god, i did because, he treated me without any surgery and all. Even in case of long queues, the staff was managing people in a very positive manner. I found the REVIVAL CLINIC itself quite pleasant. He is very talented and seasoned doctor. he did my pimples treatment. Many people gave very positive feedback for dr Laxman Besra. So I took a treatment from him regarding my acne and pimple problem at his clinic REVIVAL SKIN CLINIC in chandrashekhpur.He is very courteous and behaves very aptly with elder patients.He is really a god send person who solved my painful problem of acne. drLaxman Besra is not just friendly, but also is very motivating. By chance, I approached him for second opinion regarding my dandruff treatment and thank god, i did because, he treated me without any chemicals and all. he can be consulted at REVIVAL SKIN CLINIC in Bhubneshwar. The symptoms were severe and unmanageable, as I was suffering from pimples, but Dr Laxman Besra was able to handle it. I am almost my normal self post the treatment and for that he is the reason. The overall atmosphere in the REVIVAL SKIN CLINIC is very soothing. Very good experience.The way of treat the patient was excellent and was very friendly to the patient.I am very much satisfied with his treatment. He is comfortable with all kind of patient. Very good experience.The way of treat the patient was excellent and was very friendly to the patient.Can get online appointment.I am happy with thevconsultation. Doctor was very friendly,gave clear explanation about the disease and medicines. How a Facial Chemical Peel Can Help You Look Younger? A variety of chemical treatments can be used to exfoliate and rejuvenate the skin. I had a skin fungal infection in my neck I used clonate cream. But now it was bulged. Is that because of the cream?. Hello Ebi Sam Clonate cream is steroidal cream. it shouldn't be used for fungal infection. Kindly avoid using steroids without proper consultation. Face Lift Surgery - Complications Attached to It! Skin Problems - Can Dandruff Be The Reason? Dandruff or seborrhea refers to the flaky condition of your skin or scalp caused primarily due to dryness. It is a very common problem for young adults and middle aged people but can happen to any person regardless of age. Dandruff itself being an embarrassing problem, can also sometimes lead to other skin problems. Can cause pimple: If dandruff or the white flakes fall on your T-zone region very often, then it may lead to the break out of pimples on your skin. May result in pigmentation: The pimples which can happen due to dandruff can further lead to the problem of pigmentation. This condition leads to the appearance of unwanted black spots all over your face. Trigger eczema: Dandruff makes skin problems like eczema and psoriasis even worse. Eczema and psoriasis which causes itching of the skin can get severe due to dandruff. Rashes are also a possibility: Facial rashes can also develop due to dandruff. Often areas around the eyebrows, nose and ears get affected. Sometimes, in case of men, beard rashes also pop up. Chest rashes: Dandruff often falls all over your body.This can lead to the problem of chest rashes. This condition results in the appearance of red spots all around your chest region. Dandruff can be a very distressing problem. If your skin type is oily, dandruff can make conditions far worse. Dandruff is such a problem that cannot be completely cured but can only be controlled. So, it is highly advisable to take preventive measures as soon as it is detected to avoid further problems. In case you have a concern or query you can always consult an expert & get answers to your questions! Stretch Marks - How To Get Rid Of Them? Abdominoplasty or Tummy Tuck- This is the only certain way to obliterate stretch marks. What the surgeon does is cut out swathes of skin from your abdomen with stretch marks. Downsides are that it’s a risky procedure. There could be life-threatening complications and recovery takes longer, sometimes as long as 3 to 6 months. Warts - Ways To Get Rid Of Them! Cauterization: Cauterization is a medical procedure wherein a part of the body is burnt in order to damage some tissue and prevent an outgrowth. Cauterization can be done by medicine, cryotherapy (using localised or general low temperatures to treat benign or malignant tissues), radio frequency cauterization or laser. The method applied depends on size and location of the outgrowth or the choice of you dermatologist as well. It is recommended to get warts removed at its earliest to prevent spreading of the disease. Immunotherapy can be of great help in treating infections like wart. Immunotherapy is a biological therapy, which helps in stimulating the immune system in order to fight infections.Immunotherapy can be of different types are vaccinations and monoclonal antibodies, etc. The role of immunotherapy is gradually rising for treating various forms of infection, cancer, etc. Several myths are present in the market that state cure to warts by various homemade remedies but these can do more harm than good. Treating warts must be done by practised medical personnel. Incomplete removal of warts can cause recurrence of warts due to secondary infection. In case you have a concern or query you can always consult an expert & get answers to your questions! Chronic Urticaria - 7 Tips To Deal With It! It is important for you to consult a dermatologist if you experience any symptom of chronic urticaria. Early diagnosis and an early treatment will prevent the condition from worsening further. In case you have a concern or query you can always consult an expert & get answers to your questions! I have a dark circle problem and pigmentation too. And they are increasing. And my original colour is gone. Like I'm not having my fair colour. Its now bit of not that fair. So try to give me a solution. Specially for dark circles and pigmentation and clear skin. Pollution - How It Can Cause Everyday Skin Problems? With the advancement of technologies, comes a fee and that is pollution. Car fumes and smoke from industrial factories combined with the UV rays of the sun is more harmful than can be imagined. The most affected area is the skin. The skin's primary purpose is to act as a protector, providing a barrier against toxic chemicals and radiation. According to dermatologists, the problems of uneven skin tone and darkened complexion is due to the pollution in the environment. It accelerates ageing. Skin cancer, connective tissues disease, halogen acne and chemical depigmentation are some of the skin problems. When pollution comes into direct contact with the skin, the polluted particles begins to infiltrate the deeper epidermis layers. This infiltration causes the skin to become inflamed and dehydrated. A cellular-level reaction also takes place which makes the skin lose its firmness and elasticity. Pollution breaks down the collagen present in the skin which makes the skin impaired from further functioning as a barrier. The formation of wrinkles, lines and loss in the volume are the typical signs of the skin being affected. Acne and dermatitis are also signs found in the earlier stage of skin problems due to pollution. If an individual wants to examine the texture of the skin, then a full facial assessment can be done. The examination should deal thoroughly with the formation and patterns of the lines and wrinkles. One must note if the ageing of the skin is in parity with the ageing of the person. Sometimes the skin problems may be associated with hyperpigmentation and to check if the lines extend till the neck. Along with the face, the hands should also be examined because these two are the main areas that remain exposed mostly with a chance of getting affected by environmental pollutants. Sunscreen: The most common way to keep your skin guarded against the radiation and pollutants is to use sunscreen. It inhibits the harmful effects of UV rays on the skin. It acts as a physical barrier protecting the skin from coming into contact with the ultraviolet radiation. Dermatologists recommend SPF 50 for complete protection. It is to be noted that the SPF is not combined with foundations or moisturisers and it tends to become less active. Cleansing: At the end of the day, it is always advisable to cleanse the face thoroughly to remove the invisible toxins that gather on the skin over the day. Cleansing, as well as exfoliation is an excellent remedy to improve your skin texture. Products containing alpha hydroxy acids (AHA) is recommended to be used as they chemically exfoliate the skin and help in the development of new skin cells. Antioxidants: After coming into contact with the skin, pollution forms free radicals or molecules that destruct the skin by breaking the collagen. To prevent the skin destruction from happening, antioxidants are to be used. They are the nutrient that helps in neutralising the free radicals and diminishes the risk of skin damage. It helps the skin to repair itself. If you wish to discuss about any specific problem, you can consult a Dermatologist. I have dark circles around my eye how can it be cleared. I have been reading late nights is that a problem.